How to solve network problem on the Samsung SM-B310E? No network, failed to search network, manual search network not showing any network operators, this tutorial is special for how you can solve all the issues of network problem on the B310E phone. There are several hardware parts may be faulty if you face Network problem on the phone such as it may be PA IC or Capacitor or Antenna or external signal booster flex or a broken circuit etc. But you can try the basic solution before change any parts and you may notice the common problem for No network error is broken circuit or antenna. So if you check is correctly you can solve the Network problem on the Samsung B310E and the phone will receive good network. 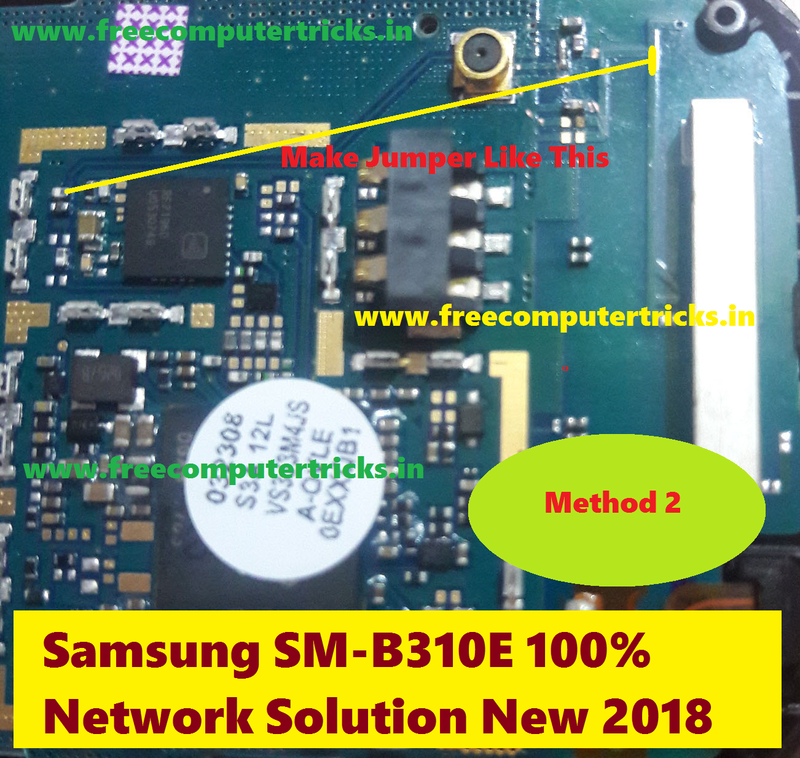 How to solve network issue on B310E method 1, first remove the two components new network antenna and joint it with the antenna, see the below B310E network solution picture below, Network solution method 1. If you are not success with the above network solution then try this you will solve the Samsung B310E network issue. It's 100% tested and working fine for me. See the below image and apply jumper shown in the image. 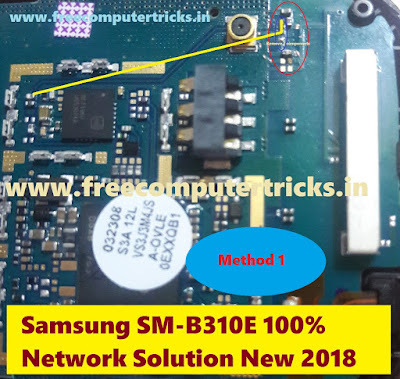 So in this way you can solve the network issue on the Samsung SM-B310E phone. What you have to do is just follow the image and make jumper shown in the above Network solution images.